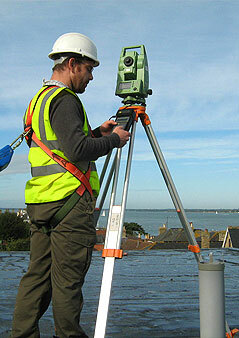 For over 20 years, Siteline has conducted surveys for clients that span market sectors. We have extensive experience in surveys that require specialist expertise, including those that call for qualified personnel to carry out confined space and working at height surveys. The Siteline team includes experts in these fields of survey; we comply fully with the rules that are designed to minimise the risks of injury. In environments where space is restricted, serious injury can occur from hazardous substances or conditions within the space; the Confined Spaces Regulations 1997 and the Management of Health and Safety at Work Regulations 1999 are designed to protect personnel by identifying hazards, assessing risk and determining the precautions to take. 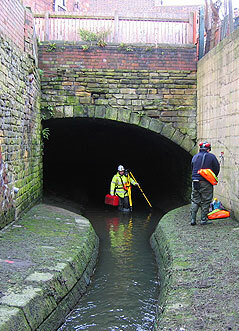 Siteline’s specially trained surveyors are experienced in managing and conducting measurement surveys within confined spaces such as manholes, culverts, caves, tunnels and other restricted chambers. It is fairly common for larger survey projects to include an element of confined space work and, by having this in-house expertise, we are able to ensure continuity of work flow and avoid the delays associated with sourcing external contractors. Siteline is committed to ensuring all personnel involved in such surveying procedures are competent, safe and protected at every step. Read our Lady Beck culvert case study. The Working at Height Regulations 2005 as amended by the Work at Height (Amendment) Regulations 2007) and the new Health & Safety (Offences) Act 2008 demand businesses and personnel comply to prevent deaths and injuries caused by falls at work. Whether we’re carrying out a specific rooftop survey or simply trying to gain a vantage point on a raised platform or flat roof, we frequently need to consider the safety and legal implications of working at height. Siteline conducts Working at Height surveys safely and according to the strict guidelines that cover this specialist activity.